All our Vitamins and Dietary Supplements are manufactured and bottled in GMP compliant and certified facilities. We also test our products for purity before we encapsulate them, and then we have an independent third-party lab do a second assessment afterward to ensure quality. With our track your lot feature, you as a customer can actually view the Certificate of Analysis and 3rd party testing of the Sports Research product you purchased, to verify that what is on our label is exactly what is in our product. 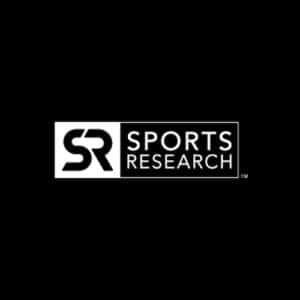 Sports Research (SR®) is a Family Run Company dedicated to providing the highest quality health and wellness products that complement your lifestyle and enhance your well-being. We believe in our supplements because we make them with trademark, and proven ingredients. We sell only the most heavily researched, scientifically sound products – just like the Sports Research name implies. Today, Sports Research confidently remains true to its long tradition of helping families achieve their health and fitness goals by delivering high quality products at affordable pricing. Please take a look around our site and get a sense of the products we offer. We think you’ll find something that could really help improve your life. Jeff Pedersen was a promising athlete ready for the big leagues. He attended Fermin Lasuen High School in San Pedro where he earned 9 varsity letters and held numerous records. He was voted Athlete of the Year in 1968 and was a high round draft pick by the Chicago Cubs, but he chose a USC baseball scholarship instead. At USC, he was the first player in NCAA college history to start on three straight National Championship baseball teams, serving as team captain in 1972, and was selected to represent USC in the Pan American Games. Jeff had a pretty incredible career, but ultimately an injury placed Jeff onto to a different path in life where he became a fitness educator and product inventor, and he is now the owner of Sports Research and creator of Sweet Sweat. At the time Jeff did not realize this one of a kind product would lead to the development of a company. Jeff developed Sweet Sweat in the late 1970s for his 500-member athletic club to help enhance and accelerate their workout programs. Although it took almost four years of daily physical testing on himself as well as his club members to get the product right, the results were so impressive and immediate that friends of the members were asking if they could also use Sweet Sweat. A decision was then made to put this “one of a kind” fitness product on the market in 1980. Present day Sports Research carries over forty skus, and Sweet Sweat has now mushroomed to being exported to 53 countries around the world and is used by amateur and professional athletes in bodybuilding, boxing, football, mixed martial arts, track and field, and other sports to substantially improve circulation, energy, and sweating. Sports Research Corporation has been Keto Certified by the Paleo Foundation.